Are You a Healthcare Student or Employee Who Needs to Satisfy a CPR Requirement for a School Program or Employer? 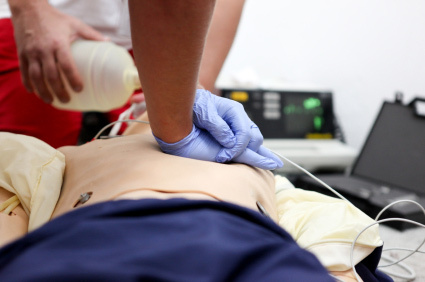 This course satisfies the American Heart Association CPR Requirement for All School Programs. It is taught in a hands-on, relaxed and supportive environment. 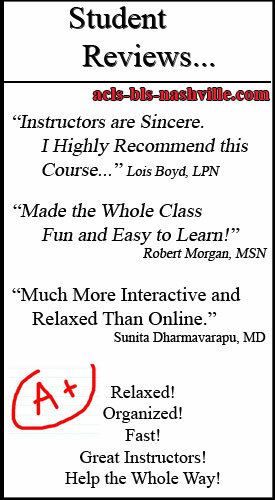 We specialize in teaching BLS for Healthcare Providers classes in Nashville, TN. -Automated External Defibrillator (AED Training). You Will Succeed With Us – We Guarantee it! -Get Your Card the Day of Class! -100% American Heart Association Certified! 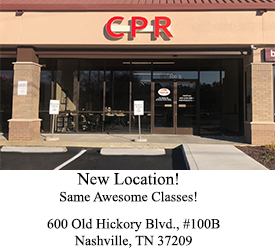 All American Heart Association courses offered by CPR Nashville are taught by experienced AHA instructors. Each instructor must first be certified by taking the required AHA instructor course and passing comprehensive assessments. 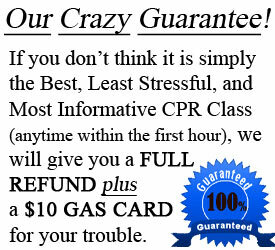 Instructors then undergo extensive training by CPR Nashville in order to insure the very highest level of teaching. We feel very strongly that a stress-free and relaxed training environment yields the highest level of learning for our students. 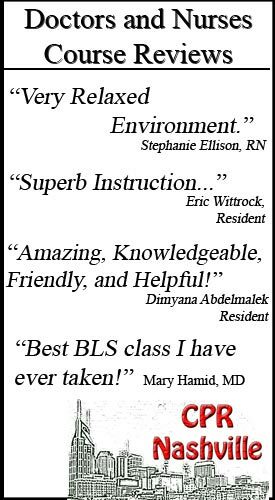 As healthcare providers, you are extremely important to the community and we work very hard to make sure you get the best training available. We make sure that you receive your 2 year AHA Basic Life Support Provider Card the Day of Class. We will also remind you when your certification is going to expire to make sure you stay updated with your requirements. 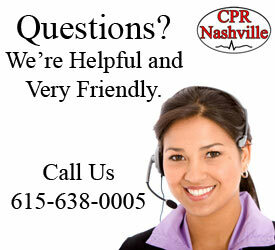 If you have any questions, please call us at 615.638.0005 or email us at info@acls-bls-nashville.com.